I read today that the Nova Scotia Utility and Review Board has given the regulatory green light for Pieridae Energy to build a liquefied natural gas plant in Guysborough County. And I wonder: why are we still entertaining the idea of an LNG terminal? Has anyone in government read the UN report and considered the fact that we only have 12 years to implement a dramatic shift in our energy priorities? There is no easy to way to change our habits – and we cannot continue to kick the can down the road. The Goldboro LNG terminal does not sit alone. It’s one part of a vast expansion of the gas industry with many distasteful components. First, much of the gas will be produced by fracking in Pennsylvania and western Canada – and almost surely Nova Scotia in the future. Although fracking is currently banned in our province, there is increasing pressure to reconsider the position. This terminal will increase the pressure to introduce fracking here. Despite all the positive publicity that modern fracking is “new and improved,” there is plenty of evidence that it requires enormous amounts of groundwater, the abundant wastewater can precipitate earthquakes, and the process leaves a toxic mess. And after 20 years, fracking is still not even profitable! Don’t count on them to clean up their mess. Second, the LNG terminal will require pipeline expansion across Quebec and New Brunswick to carry the required gas from Alberta. This is far from a done deal and could undermine the profitability of the LNG terminal. And certainly increase the pressure to frack gas right here in Nova Scotia. And then there is the Alton Gas project: the highly contested underground salt mine storage system along the Shubenacadie River. The Alton Natural Gas Storage LP (a subsidiary a the company in Calgary) plans to hollow out as many as 15 underground salt caverns by pumping the brine into this beautiful river twice a day in order to create storage space for gas. This is a key component of the expansion of the gas production and distribution industry. The threat to the river and the accompanying wildlife is an affront to the local Mi’kmaq and to all of us. Gas is not the “clean” energy that it’s marketed to be. Gas vehicles, gas furnaces, and gas power plants all add to the carbon dioxide load in our atmosphere. Really clean energy would include solar and wind power (and possibly tidal power) – and we have lots and lots of that in Nova Scotia. Why aren’t we aggressively pursuing these industries instead? What happened to our greenhouse gas emission targets in Nova Scotia? 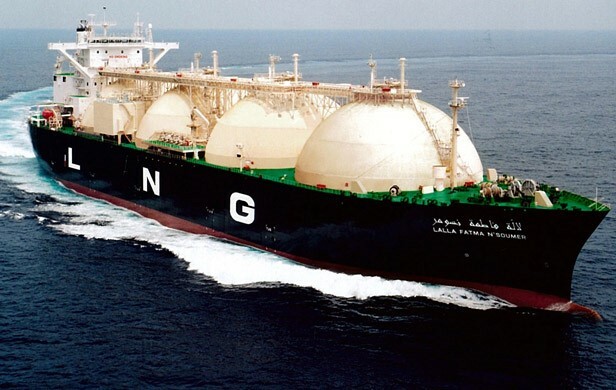 According to the company’s own Environmental Effects Assessment, the LNG project “is expected to generate an estimated 3,778 kt of CO2, which would result in an increase in CO2 emissions of approximately 15% to the Provincial levels and 0.5% to the Canadian levels. Within the Provincial context, this is considered a significant adverse effect” (Section 10.4.3.3). These are just the effects of operating the LNG plant; the combustion of the gas itself, which will be exported at 5 to 10 million tonnes per year will add immeasurably more to global warming (to say nothing of the GHG effects of the diesel engines on the massive LNG carriers that will enter and leave the harbor 7 to 13 times each month). Yes, we need jobs in Nova Scotia, no doubt, so that our children do not have to leave the province. The Goldboro facility promises 3,500 initial construction jobs and 200 permanent jobs to maintain the facility. But how many of our children are trained for this kind of complex, technical work? The west coast LNG terminal projects face a severe worker shortage and have already signaled their willingness to bring in foreign workers. Even the International Brotherhood of Boilermakers recognizes the shortfall of trained workers in Canada. “LNG development is a different matter. Some workers on these projects will need years of experience and the right qualifications to perform highly technical, skilled jobs involved in constructing and maintaining the huge LNG facilities that are being planned…. It takes four years to train a skilled worker in our own or other skilled crafts.” Therefore, even this workers union admits, “As a result, we have developed a pool of qualified Boilermakers from the US and Ireland and are continuing to seek out new areas where work practices and safety considerations are closest to Canadian standards.” This leads me to question how many solid, well-paying jobs will be offered to local residents. I’m sure local residents and fisherman in Goldboro and Isaacs Harbour have seen the proposed location of the LNG terminal, which now resembles a barren moonscape. The lack of vegetation, soon to be replaced by acres of asphalt and buildings, will surely change the nature of water runoff and affect aquatic life in the harbor. The Environmental Effects Assessment explains, “Road salt used on roads within the LNG facility and herbicides potentially used for ROW maintenance may adversely affect immediately adjacent terrestrial vegetation and soil conditions. Herbicides, if they enter streams, may also be carried downstream and could potentially affect aquatic vegetation” (Section 10.7.2.2). And no doubt 7 to 13 visits each month by LNG carriers will have an effect on fish, shellfish, and fowl. This is not good for life in the harbor. 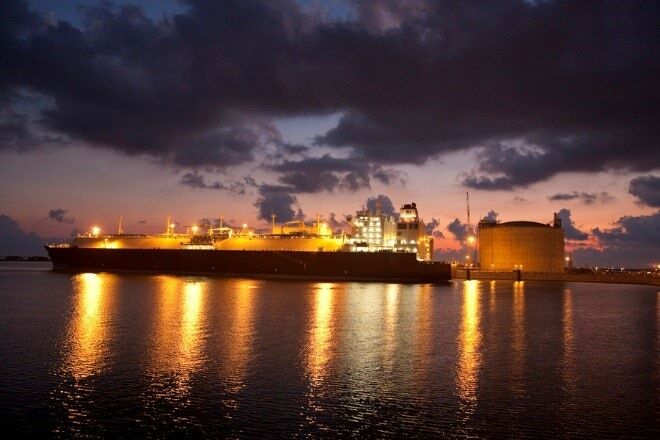 “Typical LNG liquefaction plants contain items of equipment that will cause high noise levels, either due to the equipment being noisy or due to the sheer number of units producing noise. Typically, the noise sources that emit high levels of noise include the large refrigeration compressor trains, the boil off gas compressors, the power generation gas turbine exhaust stacks and some utility equipment such as cryogenic nitrogen generation plants and instrument air compressors. Most of these sources are continuous” (Section 10.5.2.2). And of course, “operational upsets will cause on-site noise levels up to 115 dB(A).” This is at the threshold of human hearing pain. Pieridae has promised job training as well as “general community initiatives such as education, arts and culture projects.” But there are no details. As noted above, boilermaker training takes a long time. What’s really in this for Goldboro and Isaacs Harbour? The Mi’kmaq of Nova Scotia try to think about the seventh generation in the future as they make their plans for the environment. All of us should do the same. These temporary facilities – the LNG terminal, the salt cavern storage systems, and even the pipelines – are destined for the rubbish heap as our world transitions away from the gas and oil industries. However, the damage inflicted on our atmosphere is likely to be irreversible and permanent. Now is the time to change direction in Nova Scotia. Previous Post All out to oppose annual US-led war conference in Halifax! I’m glad this project is finally getting the attention that it deserves. If it goes forward, it is certain to do more harm than good for the area and its residents. Thank you. Thank you for bringing to everyones attention that this is a bad idea all around. 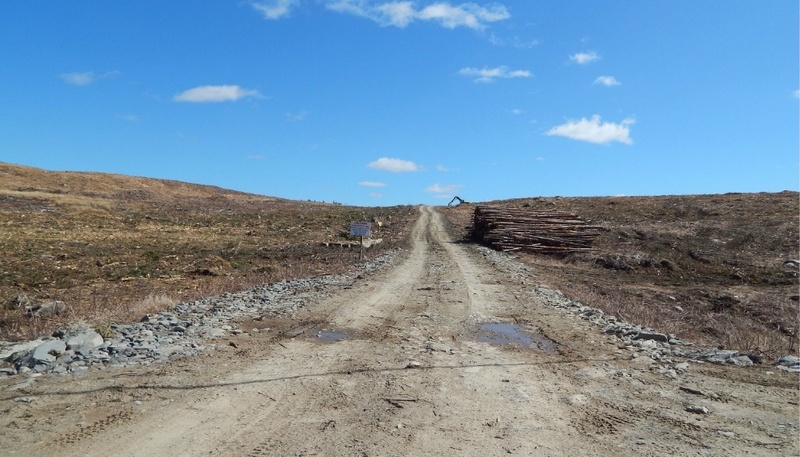 The only people to make money from this are the owners or investors, the people who sold their land and furthermore sold out their community and the town of Guysborough. The money will never be seen in Goldboro or surrounding communities. The jobs won’t exist because there is no training and like they said in the article it takes years and years of training. This needs to be stopped before it starts. Remember how much prosperity, businesses, increased real estate values and JOBS were promised before Sable came? Anyone have Guysborough Journals from the early 2000’s? True there was a small boom during pipeline construction. People were excited to rent out their abandoned houses to workers. People saying “now the young people can move back” Some people were talking about a Tim Hortons coming. How many locals work at Sable now? This will be the same thing. Winner is Pieridae with the help of shortsighted and inept politicians of Hines ilk. The loser is Goldboro, being used as a doormat for corporate greed and questionable environmental practices. Sure Pieridae will throw the area a few bones as PR moves, a small portion of the billions they will make to show how awesome they are. Pieridae will laugh all the way to the bank with no concern for the area before, during or after their operation has reached its lifespan. Where are the environmentalists? This Needs to be brought to their attention and everyone else who will listen. Where are the protesters? What about you, Shanna? Why not be the person who leads a demonstration. Or go to your local Farmers’ Market, set up a booth, and inform people yourself. Why does it always have to be the same people, time-after-time? They [environmentalists] are not paid professionals like the pro oil & gas people say. They are parents who work, people who go to school, retirees who are always going out to add to the warm bodies protesting. What are you going to do? Horgan’s minority NDP government only governs because of the support of Weaver’s Green party. “In opposition, the NDP were outspoken critics of the Liberal’s LNG regime, then rightly noting that it did not amount to a fair value for our resource and that the emissions were too high,” said Weaver. “Our caucus was shocked when they turned around and delivered an even larger giveaway once in power. We did everything we could to deter them from making this decision, but we are only three MLAs up against the 84 whose parties support the heavy subsidization of this industry.” The final investment decision late Monday night came after the first day of the legislature’s fall session, in which the NDP and Liberal parties are jockeying to take credit for a project, while the Greens fumed.